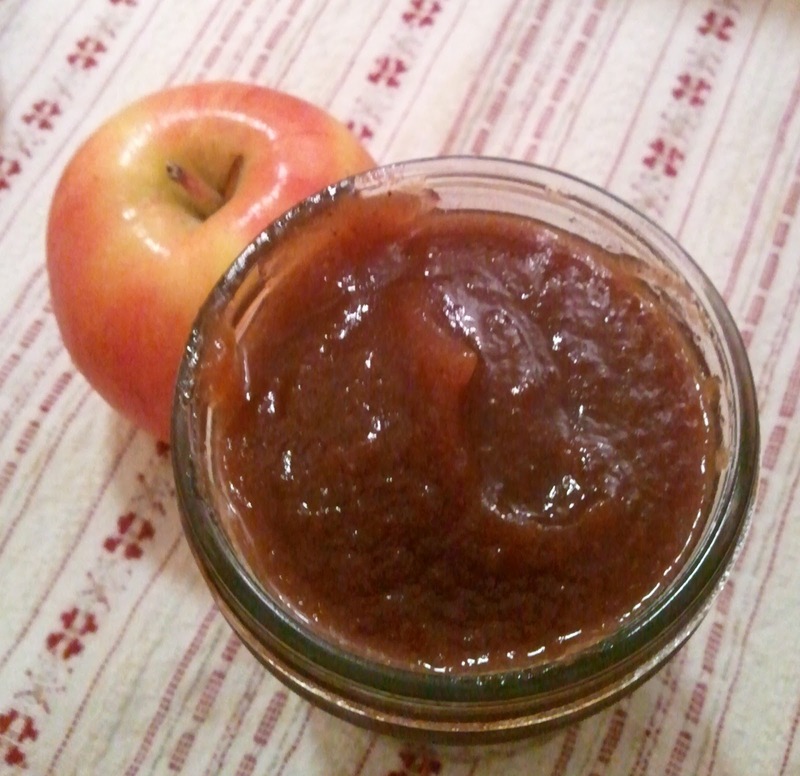 I had a craving for apple butter on my English muffin the other morning. And since I'm so brilliant and bought a bag of apples not realizing I already had a bag at home, I figured I had a few extra to try out a homemade recipe. Below is my concoction. I cut the original recipe down and adjust the sugars a little. It called for something ridiculous like 5 pounds of apples and made 7 pints. (I wasn't craving it THAT much). It's delicious though! Cook for about 8 hours, or until apples are soft. I put the apples in a container and used my emulsion blender for a smooth texture. I'm sure your blender would work just as well. I also saw a recipe instruct you to mash the apples with a fork (seems a little labor intensive) for a chunky texture. 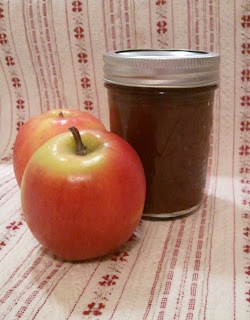 I placed part of the apple butter in a canning jar and the rest in a container in the freezer for later.